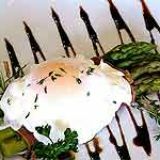 Evuna is a fantastic restaurant specialising in Spanish cuisine, offering freshly cooked meals and an excellent choice of wine. 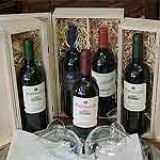 There is also a wine merchant service allowing customers to take home a bottle or case or their favourite tipple. Do you work at Evuna? What did you think of Evuna? The Spanish food here was lovely and took me right back to my Spanish holiday last year. An upmarket Spanish wine shop and restaurant that doesn’t fail to deliver on style and execution of what a modern tapas eaterie should be. Evuna is positioned in a fantastic location on Deansgate in the heart of Manchester city centre and on the front of a row of shops which have been beautifully restored from the Victorian period. Once you step inside the glass fronted doors you'll immediately be imagining more sultry Mediterranean climes than our typical rainy Northern climate. Exposed brick walls are a good touch and give an earthy feel to the restaurant whilst the clean layout stretches back with some unusual and attractive wrought iron tables with glass tops accompanied by typical low Spanish chairs. Towards the back, the rolling countryside motif is a calming influence. Through the archway the room opens up to yet more tables and at the rear there's a wall to wall display of the many wines that are on offer. Particularly quiet in the afternoon (so quiet you may be the only one in) with the staff and manager chatting amongst themselves for the most part, you're best off visiting in the evening when the restaurant is packed to the rafters. The atmosphere is lifted by the traditional music which changes to a somewhat unnecessary Spanish rap ensemble every so often. 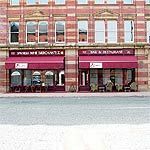 With its proximity to the many offices in the city centre the restaurant scores well with the after work crowd and the many shoppers who flock to the department stores in their droves. 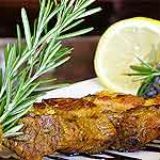 A typical Spanish feast awaits anyone who steps into Evuna with a specials board featuring everything from Spanish chicken with rice to macaroni con pescado, a fish dish with penne pasta. 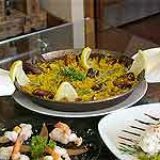 There is also a good deal of three tapas dishes for £9.99 which is available Monday to Sunday between 12 and 6. Evuna boasts three types of tortilla including potato, spinach and asparagus which makes a change from the usual egg fare. The vegetable rice balls are well cooked and smooth on the palate. Seasoned to perfection, this dish comes with a silky tomato sauce that runs through the dome shaped titbits. You would imagine that they would come all crispy and crunchy yet these are soft shaped rice balls with the rice not too soft to lose its bite and not too hard to be overcooked. Other dishes to try include a compote of mixed vegetables with roast potatoes in balsamic vinegar and their own signature chip, Evuna’s take on the classic patatas bravas. Prices range from £3-£6 on the whole which is in keeping with some of the city's better tapas eateries. Evuna has over 100 wines covering the main regions of Spain. In fact you may have to ask for the Evuna Wine Bible which says it all really. A good feature is the wine of the month which has included the Vina Hermosa Reserva 2007. Rioja is priced at £6 a glass which is a little too pricey for these parts. However, the classic vino is around £4 and there’s a superb selection of young to older wines from a couple of months to 2 to 3 years in the cask. Gran Reservas are the head turners with Casado Morales and a Vegas Sicilia Unico 68 priced at a stonking £1600 per bottle. Sherries, dessert wines and ports are well covered as are half a dozen Spanish brandies. A great place to come for tasty tapas and a chunk of queso y jamon (ham and cheese to us), Evuna has a wonderful selection of wines too all set against the mean and moody backdrop of a modern contemporary tapas restaurant in the heart of Manchester.